Developing Hearts Systems Inc is a publisher of children's books. 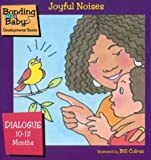 A book published by Developing Hearts Systems Inc is Bonding with Baby Board Books (Developmental Series) (Bonding With Baby Developmental Books). Main Address: 2048 Elm St.